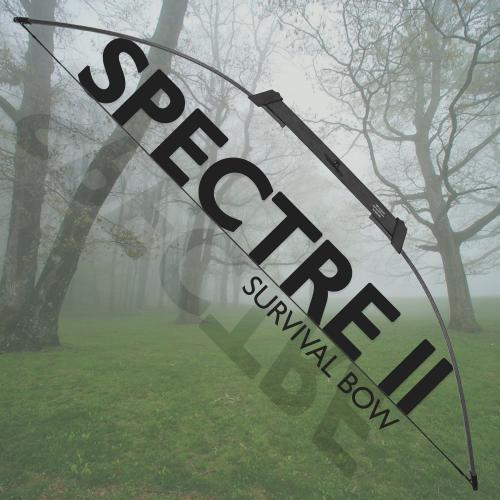 The Original Compact Take Down Bow - The Spectre II. 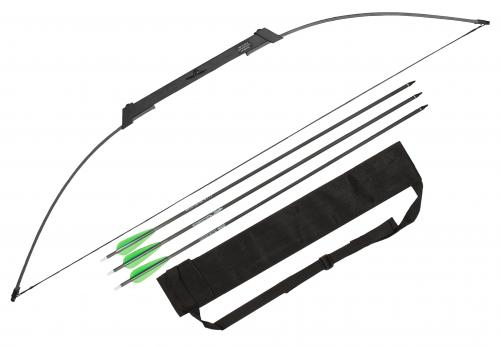 This survival bow is ideal for any survival hunting need at an affordable price. The fiberglass/resin limbs assemble together simply. Slip the limbs into the riser bracket. Assembly requires no tools. Just string the bow and its ready to shoot. 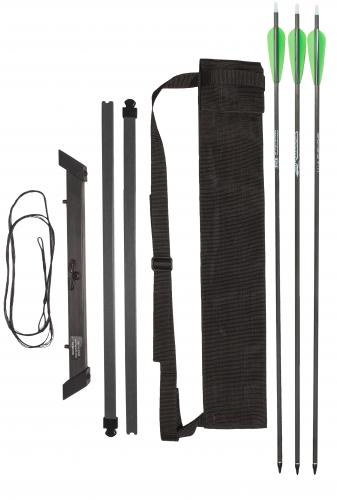 This take down bow fits nicely into the pouch / quiver with the 3 arrows.